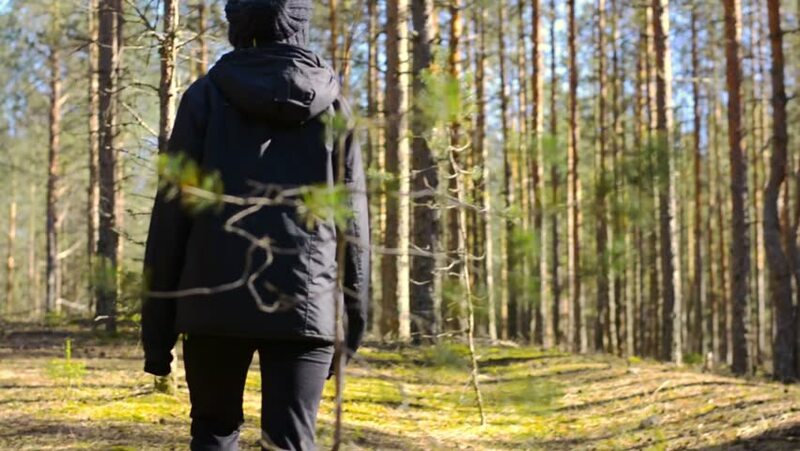 4k00:15A man in camouflage walks through an autumn forest with dog, 4k footage. hd00:22Man walking away from camera in bare forest in winter. hd00:21A female tourist travels through a beautiful autumn forest with his dog.